find themselves desperately struggling for cultural survival. Rainforest World Music Festival in Sarawak. U.S. premier of "Guardians" at Stanford University! ~ Email report from Mary Maguire! passionately told, combining intelligence with sincerity and even humour. have lost touch with their roots!!" it helped make the whole feature a moving and haunting experience. The research was also very well done, providing a balanced view of history and contemporary developments." the very fabric of Orang Asli life and culture. Guardians of the Forest focuses on an Orang Asli community about to be displaced by a giant dam project. It chronicles the heartbreaking realities they face and unveils chilling truths that echo the plight of indigenous peoples all over the world. Filmed in the lush Malaysian rainforest, this documentary provides a rare insight into a little-known community and introduces us to their haunting stories through interviews with members of the tribe. A Malaysian sociologist speaks out against the government's policy towards the Orang Asli, and we discover how ineffective the department in charge of their affairs appears to be as we hear the Director-General try to defend an indefensible situation. an extraordinary band comprising indigenous and non-indigenous Malaysians. 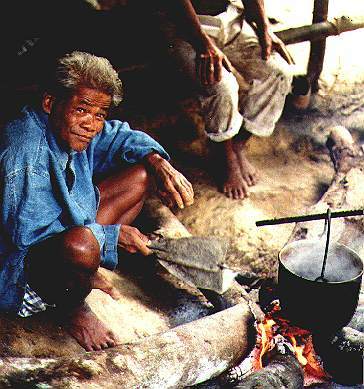 Orang Asli. 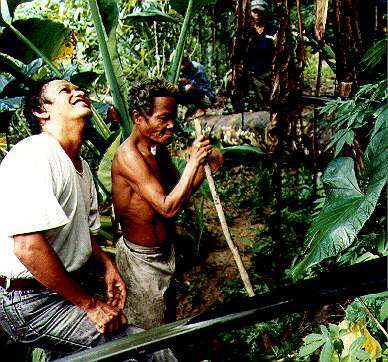 It includes beautiful shots of their rainforest home and documents their lifestyle and culture. relocated in the name of progress and modernization. Theirs is a sad tale of broken promises, misery and abject poverty. What inspired you to make a documentary on the orang asli? 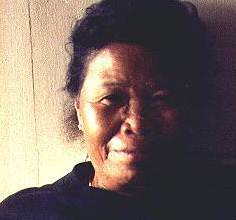 Undoubtedly the late Mak Minah Anggong, a Temuan asli from Kampong Pertak was the inspiration behind Guardians. Initially this documentary was to be a tale of her band, Akar Umbi. Akar Umbi was making amazingly original music - a blend of Mak Minah’s voice singing the tribe’s traditional songs; an asli bamboo rhythm section; bamboo flutes played by Antares; and Rafique Rashid’s guitar work and arrangements. Through contact with Mak Minah we heard and saw the plight of the Orang Asli. This led us to research the many anthropological studies of the Orang Asli - the work of Dentan, Endicott, Baharon Azhar, Gomes, Jumper and most importantly, Colin Nicholas of the Centre for Orang Asli Concerns. We realised that while many academic volumes have been written about the Orang Asli, very few Malaysians, let alone anyone else, know anything about them. This documentary HAD to be made. It was clear that the Orang Asli were getting a very raw deal. We felt that the documentary should paint a moving picture of how the Asli have come to be so marginalised and dominated. And how this marginalisation is largely due to a difference in perception of reality and raison d’être between the Asli and modern Malaysia. We also felt that the Asli story should be part of the global debate on indigenous people and as documentary makers this was one way in which it could be done. Did you face any official resistance in the making of it? If so, why do you think there was resistance and was it worth persisting? There still exists a law, stemming from the Communist Emergency period, which effectively gives the Department of Orang Asli Affairs (JHEOA) the right to prohibit non-Asli from visiting an Asli village - even if the Orang Asli themselves wish that visit. Realising this we decided to do all our filming at the Asli villages and their forests before requesting an interview with the Director-General of the JHEOA. Our initial requests for an interview were rejected by the Director-General who said that it was “a sensitive issue.” It was only after we wrote and spoke to the Secretary-General of the Ministry of National Unity, who oversees the the JHEOA, that we got the interview. It was important for us to persist in getting an interview from the JHEOA because it is the official representative of the Orang Asli. Balance and offering the right-to-reply is also crucial to any documentary that wishes to be taken seriously. To what extent did the orang asli participate in determining the telling of their tale? Was winning their trust in the doco important? Andrew Bird, the executive producer, Mary Maguire, the producer, and I were part of the Magick River Community, a loose organisation of people interested in the natural environment and active participation in the performing arts. 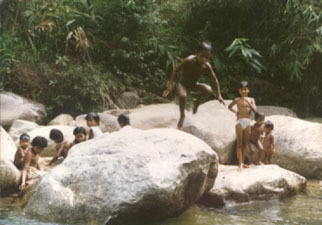 It was based in Kuala Kubu Baru in 1992, and it was then that we first met Mak Minah and the rest of her village. Antares, the catalyst of the Community, eventually married into the tribe. We have kept in close contact with them ever since. This relationship built up a friendship and trust that was vital to the unique access that we had to the village over the filming period. We were not a film crew, we were friends with cameras. How long did the process of making your doco take? Did you have to overcome financing problems? From inception to finished film took 2 years and financing was the main problem. The documentary was budgeted at RM150,000 and no-one was interested in funding or co-producing unknown documentary makers from Malaysia. The entire documentary was eventually funded by what we call our Guardian Angel Investor, Andrew Bird, who set up Verado Films in the UK, and then gave us complete editorial control over the documentary. It also took so long because we had to completely ditch our initial treatment when Mak Minah died two days before the filming of her main sequences and interview. She was to have been the main thread of the documentary and Mary and I had to re-think and re-structure the entire film. We spent weeks combing through every minute of the rushes to find the film that eventually became Guardians of the Forest. Why do you think documentaries are seldom seen and/or made in Malaysia? Is there a shortage of talent, subjects, interest - or money? Censorship is by far the main problem. Social documentaries are successful when there is conflict and tension to be resolved. In a nation where the discussion of these elements is deemed to be “sensitive” and therefore to be avoided, the only documentaries commissioned or broadcast by our local television stations are outright propaganda, sugar-dusted travelogues or dated, foreign-produced natural history documentaries. There is certainly no shortage of Malaysian talent. Guardians of the Forest was beautifully shot by Ridzuan Hamdan and an all-Malaysian crew. It was sensitively edited by Ann Foenander; the ‘magic’ 3-D graphics sequences were done by Neil Felix and KT Yeoh, the working script polished to a high shine by Kit Leee and Rehman Rashid; and the beautifully-modulated narration was by Rehman Rashid. An all-Malaysian team. But the people who pushed hardest to make an idea become a documentary were British. Which reminds us that it’s passion that’s important, not nationality. Shortage of subject matter? I have a bottom drawer full of documentary ideas many of which may never see the light of day because they cannot pass the Malaysian “sensitive” test and are too local for an international audience. Their ideal place would be a domestic current affairs or social documentary slot. Interest? 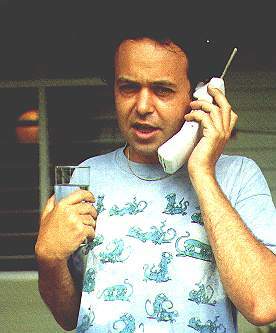 I believe that there is an enormous hunger for intelligent, investigative, domestic documentary. The problem is not the audience, it’s the self-censoring broadcasters. And can they be blamed when TV broadcast licences have to be annually renewed? Or when most Malaysian productions are directly sponsored and funded by corporations who fear retribution if they do sponsor a series that may upset the authorities? Money is always a problem. Documentary production is expensive but the return comes from advertising. And advertising dollars are a function of viewership figures. I believe that domestic documentaries will command a high audience if they tackle issues that are of interest to Malaysians and stops insulting their intelligence. What are documentaries like yours for? Should docos play an educational role, or are entertainment values just as - if not more - important? Guardians of the Forest will undoubtedly inform and alert a huge proportion of its audience - the asli story is so little known. Mak Minah was a friend and one of just over a hundred thousand Orang Asli who continue to be told that their reality has no place in Malaysia’s vision for the future. Being supreme optimists we hope the documentary will help bring about change. Kean Wong is the radio correspondent in Malaysia for BBC World.